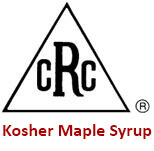 Pure Gourmet Maple Syrup For More Than 125 Years! Maple Hollow has been producing pure gourmet maple syrup for more than 125 years. Over three generations, the art of cooking the sweetest, finest, maple syrup has been perfected. 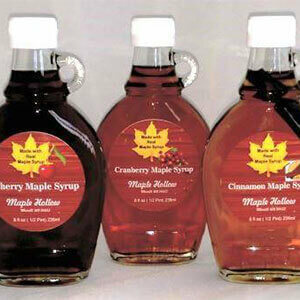 At Maple Hollow, we offer pure Wisconsin maple syrup, maple products and maple syrup supplies. Pure maple syrup is exactly that - a 100% pure product tapped from Wisconsin maple trees without activities, colorings, or preservatives. You'll find a full line of syrups in all sizes, along with lots more, at Maple Hollow. 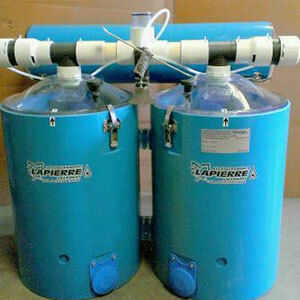 We also carry an extensive selection of equipment for those who want to make their own maple syrup. Whether you are an experienced maple producer or just want to get started, we have the equipment you'll need to make quality maple syrup. When you indulge in foods that require the use of maple syrup, the flavor will truly be enhanced with our syrups. When you want to satisfy your sweet tooth, don't forget to consider using maple syrup which contains fewer calories and a higher concentration of minerals than honey. Maple syrup is one of the many wonders of the world. This amber liquid with its characteristic earthy sweet taste is made from the sap of the maple tree. Heated with wood from our forest, packaged in our canning facility with a process that is also certified Kosher. We Have Received A Range Of Awards That Reflect Our Passion!